Littles and their skate rentals are free. Beacon Hill Skate Shop is offering a discount to all Bigs and Littles on roller blades and ice skate rentals. HOW: Present BBBSMB membership cards. CONTACT: Must call Chris, the director at 617-482-7400 before you go so that he can ensure there are skates available. DETAILS: Use the coupon code littles free! to get the second ticket free. COST: Free for Littles with the purchase of Big’s ticket ($37 for adults, $31 for students or military). WHERE: Valid only for the Museum of Science location, any day during the week with a BBBSMB membership card. DETAILS: Must purchase tickets at ticket booth. Not valid for phone or web orders. Not valid Saturdays or with any other offer or discount. WHAT: Paint pottery in an art studio with your Little! COST: Little is free! Studio time is $8 per person, and pottery can run between $9-18. HOW: Call Clayroom ahead of time to reserve two seats and specify that you are coming in with your Little. WHAT: Kayak the Charles with your Little! COST: $20 gets you a double kayak for the whole day! That’s 50% off! Bigs are also eligible for a discount on Community Boating Membership. HOW: Both Bigs and Littles must present BBBSMB membership card to receive discount. Littles must be at least 10 years old. CONTACT: Visit www.community-boating.org or call 617-523-1038 for hours and directions. WHAT: Enjoy an interactive glassblowing demonstration and make fused glass pendants with your Little. Experience is instructional and fun. Free for Littles and $25.00 for Bigs. Matches must present their BBBSMB membership cards. Free bowling and shoe rental for Little’s with their Big’s before 5pm! LaserCraze is New England’s newest and largest laser tag arena played in a state-of-the-art multi-level entertainment center. Located in Woburn, LaserCraze also has an inflatable-fun filled adrenaline zone and an awesome arcade. COST: Contact Match Support for a Buy One Round of laser tag, Get One Round Free voucher! Launch Trampoline Park is an indoor sports facility with over 10,000 square feet of trampolines. They also have a full café as well as an arcade! COST: BOGO for an hour of open jump time (limited to weekdays in Norwood). Bigs pay regular $15 admission rate and Littles jump for FREE! HOW: Present BBBSMB membership cards and Big’s ID. This deal is walk-in only so please call ahead to check availability. The New England Aquarium offers Bigs and Littles the opportunity to save on a visit to the aquarium. Take a trip to the waterfront and enjoy their splendid collection of marine life. COST: Bigs are admitted for free. Littles ages 7-11 are $18.95, Littles age 12+ are $26.95. HOW: Present BBBSMB membership cards and photo ID. Indoor rock climbing for all ages and abilities! All facilities feature top rope climbing and bouldering for all ages, and all abilities. COST: Both Big and Little pay $18 each. The discounted price includes ALL the gear needed to climb, as well as an orientation on using the facility safely. On your first visit to Rock Spot there will also be a $25 membership fee that will be good for the whole year. HOW: For your first visit you will need to fill out waivers. Reach out to your Match Advocate for the waiver or visit http://southboston.rockspotclimbing.com/ to print out the waiver yourself. Remember you will each need one. Once the waiver is filled out and signed by your Little’s guardian, bring it to the gym and it will stay on file. Present your BBBSMB membership cards on the first and every visit thereafter. Cost: BOGO for an hour of jump time, anytime! Big pays regular $14 admission price, and littles jump for FREE! *Price does not include reusable SkySocks. These are $2/person. How: Present BBBSMB membership cards and Big’s ID. This deal is walk-in only so please call ahead to check availability or purchase a will-call ticket (will call tickets – tickets that can be purchased day of over the phone). Be sure to mention the BBBS partnership to receive the BOGO deal. Where: Sky Zone Boston, Sky Zone Everett and Sky Zone Danvers. Sky Zone Boston – 91-B Sprague St. Boston (Hyde Park), MA. WHAT: A locally owned, unique company that offers bike tours, bike rentals and sales in the North End. COST: Rentals are $10 for Bigs and $5 for Littles. Matches must call ahead to secure rentals with Little’s height. Bigs also receive a discount on biking tours and a special rate for bike rentals and buying bikes at the Urban Adventours shop. Zipcar offers self-service access to cars by the hour or the day. Simply reserve a Zipcar online, walk to the car, let yourself in with your Zipcard, and drive away. Gas, insurance, parking and XM Satellite Radio are all included. COST: As an exclusive promotional offer, Zipcar is offering all Bigs a highly discounted membership for only $35/year for a total savings of $150! As a special perk, Zipcar will also deposit $25 of driving credit into the account of any Big who opens an account through this promotion. Bigs who are already Zipcar members are eligible for $25 in driving credit applied to their Zipcar account. HOW: To register for a Zipcar membership through Big Brothers of Mass Bay, go to www.zipcar.com/apply/?group%5fid=10683481. Then follow the remaining prompts to choose your plan and finish signing up! NOTE: This discount is also available to Little’s guardians. They should enter BBBS Guardian. WHO: Bigs ages 21+ with a valid driver’s license and credit card. Free memberships to matches and families to use the BCYF facilities. They include open gyms, swimming pools, etc. WHERE: Look for the list of BCYF locations from your Match Advocate to find a location closest to you. Email Tickets for membership forms. COST: Contact Match Support for free tickets! WHAT: Check out the history of some of your favorite Boston sports teams! WHAT: Learn how to produce songs, construct 3D models, create your own animations and videos, build a website, and much more. The Clubhouse features an inventor’s workshop, music studio, game development lab, and sound stage. Open to ages 10 – 18. FREE after-school program where Littles can attend with Bigs, family members or be dropped off. Hours are Tuesdays-Thursdays, 2:30 – 6:30pm; Fridays, 2:30 – 7:30pm; and Saturdays, 12-5pm. Where: Museum of Science, Boston. Public Ice Skating at Boston Common. COST: Littles and their skate rentals are free. You can bring your own skates. Through a partnership with the YMCA, all Bigs and Littles have free general admittance to participating area YMCAs. HOW: Call the YMCA you have in mind before heading down to double check on the “open” times for the “open” areas. Present your BBBSMB membership card at the front desk of a participating YMCA for use of any of the “open” areas. Bigs and Littles must attend together to use this benefit. *North Shore YMCA’s have specific instructions, please specify with Match Advocate if you are from the North Shore. WHERE: Participating area YMCAs. Location of participating Y information available through Match Support. Please call us at 617.956.0283 to receive this information. NOTE: For Northshore YMCAs, both Big and Little must sign a waiver to sign up for a free membership. Bottom signature not required as there will be no payments made. Looking for education, child-development and mentoring info? You’ve come to the right place! 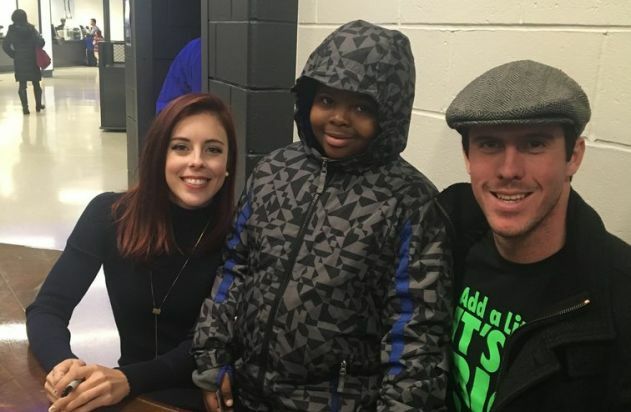 Big Brothers Big Sisters of Massachusetts Bay’s Match Support Coordinators have compiled a list of general resources that includes everything from activity ideas to information about after-school programs. The links listed below will direct you to external websites which are not endorsed by BBBSMB. Through Bottom Line’s College Access Program, they will provide you with FREE 1-on-1 guidance and support through the entire college application process. ELIGIBILITY: Begins in Junior year of high school. Bottom Line focuses on students in Boston and Worcester who are from low-income households and in the first generation of their family to earn a Bachelor’s degree. TIME COMMITMENT: One-hour meeting with each high school senior every 2-3 weeks during the application season. DEADLINE: Rolling Enrollment, most students apply end of Junior year or start of Senior year. To learn more about the Access Program, click here and check out the flyer here! Through Bottom Line’s College Success Program, they will provide you with FREE 1-on-1 guidance and support through your entire college career. TIME COMMITMENT: Bottom Line visits each campus at least once a month. This program provides FREE SAT prep classes and college admission counseling to high school juniors and seniors. 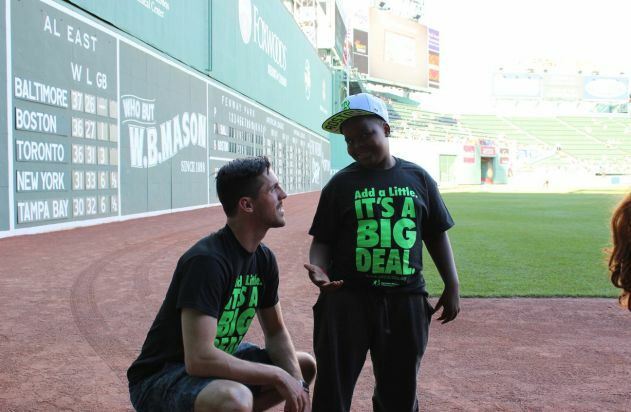 9 week sessions conducted at various program sites across MA. All classes are taught by local volunteer college students that are trained by Let’s Get Ready staff. FamilyEducation.com – academic skill-builders, homework tips and advice. U.S. Dept. of Education – a site especially for students -provides homework aids and information about planning, preparing and paying for college. Yahoo! Education Math Help – practice problems and instructions for math topics. A Better Chance – an organization designed to help high-achieving students of color, grades 6 through 11, earn placement in some of the nation’s finest independent and public schools to be considered for placement and financial aid. Students admitted to the program also receive college preparatory skills and expanded educational and leadership opportunities. Cultural Experiences – find a free or low-cost local event to expose you and your Little to new and different cultural experiences. Self-Esteem – strategies to help your Little develop self-esteem. Socialization – information about socialization and ways you can help your Little with social situations. Communicating – principles of healthy parent/child or Big/Little communication. ADHD Kids – information about parenting and mentoring children with ADHD. Click here for a fact sheet with more information and activity suggestions for Littles with ADHD. Centers for Disease Control – information about child development by age-range. National Network for Childcare – information about child development by area (emotional and social, intellectual, language, etc.). Tufts child and family web guide – child development issues by age or category. Keeping Youth Mentally Healthy & Drug Free – U.S. Dept. of Health and Human Services public education site. Parents: the Anti-Drug – advice and information for preventing drug abuse. Too Smart to Start – underage alcohol use prevention for caregivers of 9-to-13 year-olds. 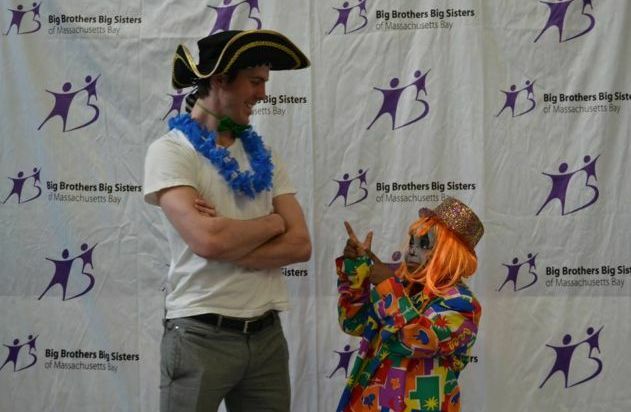 Volunteer Training Guide – this document contains best practices for Big Brothers Big Sisters mentoring. The National Resource Center on Children and Families of the Incarcerated – information about how parental incarceration affects children. Test Yourself: Are You Smarter Than a ‘Little’? 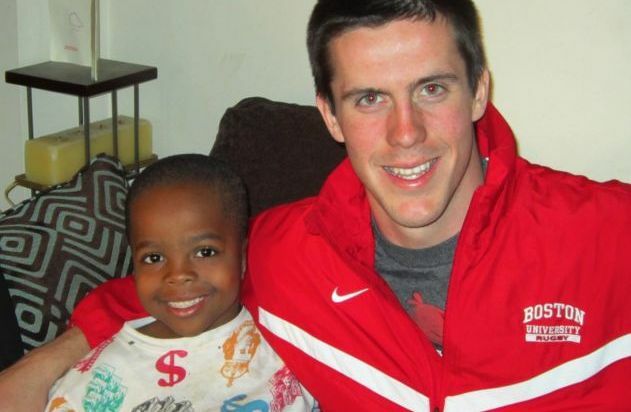 In 2012, Jay Cronin, then a sophomore at Boston University, may not have known what to major in, but he knew he was meant to be a Big Brother. He expected to be a mentor to his Little, Jamani, but he had no idea that his role as a Big would change the trajectory of his life. Now, in 2016, Jay and Jamani are celebrating their four year anniversary and Jay is working for Big Brothers Big Sisters! Best Moments of Being a Big: In GIFs!